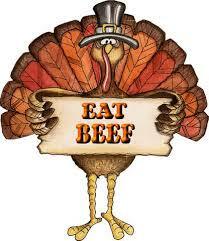 There are 16 more days before my favorite day of the year, Thanksgiving Day. Is Thanksgiving your favorite day also? It seems like Thanksgiving is just such a relaxing day with family. Thanksgiving morning, my husband and I will work together putting finishing touches on dinner while trying to watch the best floats from the Macy’s parade on TV. Once the our crowd begins to arrive, the house will be filled with all the people we love the most, lots of laughter, the best conversations, all the grandchildren, great-nieces and great-nephews playing and laughing together. After dinner, we clear the table and spread out the Black Friday ads so the grown-ups can plan their shopping strategies. My husband will try to talk me into skipping Black Friday shopping which I never concede too. I think secretly, he wants to go more than I do, that man LOVES to shop! Of course the retailers have completely messed up our normal traditions with those earlier shopping hours these days. We may have to develop a new tradition this year. What should you be doing right now to make your Thanksgiving full of fun and not stressful? If you haven’t done so yet, check out all the other articles in this series. You will want to print the 5 free pages for your own planning guide which you will keep in your Stress Less Planning Guide Notebook . Then you will have all of your notes, lists and recipes in one place. See the links at the end of this article for all the free printables. Today’s Make ahead item is Chicken Broth. Not one to be wasteful, I’m sharing with you this delicious Chicken with Biscuit Dumplings Recipe my family loves. You will have plenty of broth to freeze for Thanksgiving cooking and a nice pot of Dumplings for dinner as well. Chicken broth is an easy make ahead. It freezes well and is a needed ingredient for the Cornbread Dressing. Here is a recipe for Chicken & Biscuit Dumplings . A great one pot meal for these cold Autumn evenings. Save the extra chicken broth and freeze for Cornbread Dressing. Stress Less Thanksgiving Planning Guide Notebook, you will want to print the pages from the Planning Guide and Planning Guide II posts to make you easy to use notebook. Mine is all marked up now with plans, shopping list and recipes tucked inside. I’m so glad that chicken broth is good to freeze! It is the best soup base all winter long. It really is good, especially on these cool days when we want comfort food! I’m making it right now, will update with a photo later. Freezing Chicken Broth is something I always do. I think even a simple meal gets better with some real chicken broth. Oh this is great, Shirley! I LOVE making things ahead of time! My hubby’s grandmother makes the chicken and dumplings, and I’ve been trying make her recipe so we can keep it going, but I might try this one, too! It is a good recipe, we really like it on these cool Autumn nights. You are very wise to learn to make your Grandmothers (in-law) recipe. It is important to keep those wonderful family recipes going on through the generations. Dumplings and cornbread dressing are my two favorite sides for Thanksgiving. I do the made-from-scratch roll out kind of dumplings and my mom always makes hers ahead and freezes them. I’m loving yours and definitely going to try them. Wish I had a bowl right this minute! Thanks for sharing your yummy recipe!